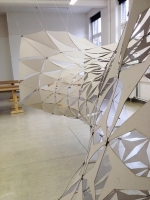 The "DissolvingFunnel" was an installation project that executed as a group project within the "The ContinuityOfSpace" course. 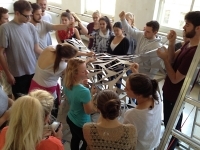 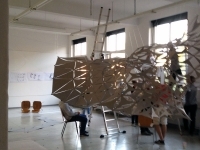 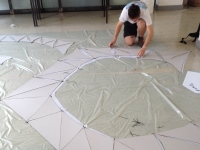 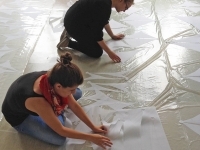 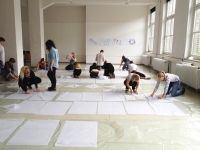 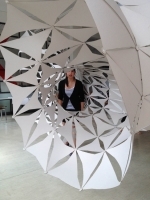 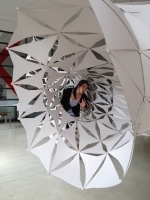 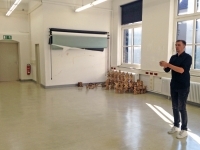 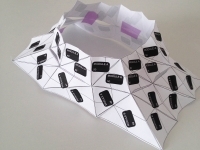 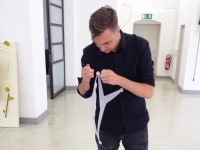 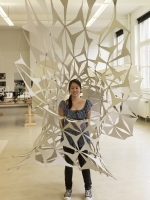 Depart from the individual group projects, that resulted into a design proposal for the MediaLab we where therefore also building a 1:1 scale prototype that was installed and build as an in-situ construction. 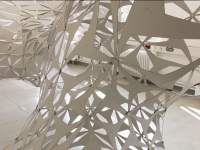 The full-scale object was created using a 100% coherent digital manufacturing sequence, that was consisting of 3D modelling, simulation and CNC-laser-cutting. 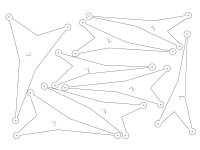 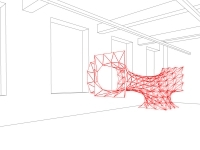 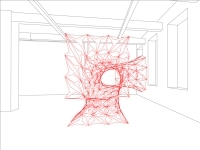 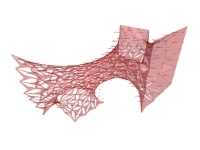 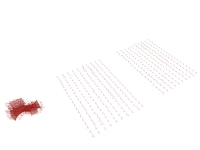 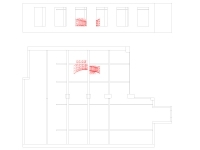 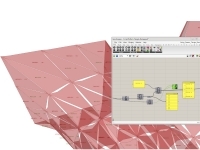 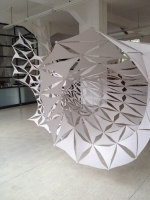 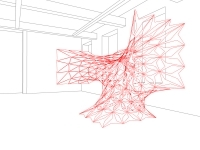 A final version of a spacial mesh configuration was identified and further refined by adding a distance based constraint, that creates the effect of a gradually dissolving installation according to the spectators view point. 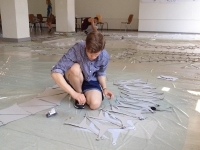 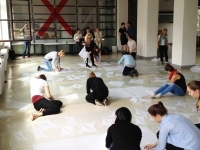 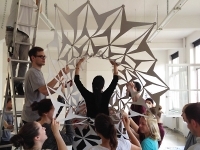 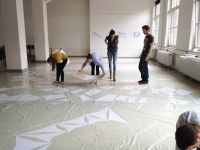 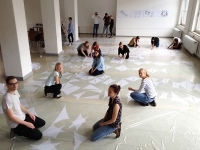 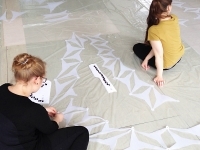 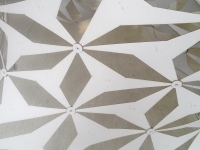 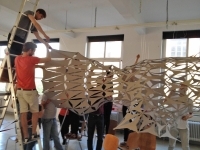 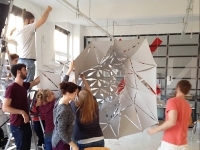 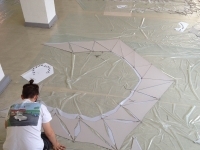 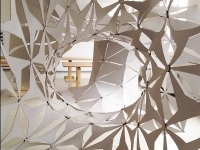 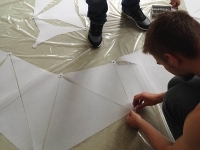 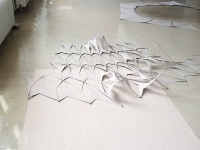 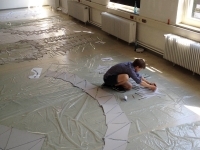 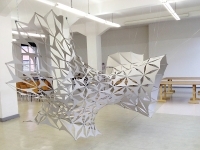 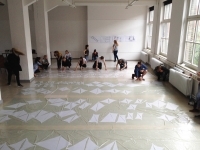 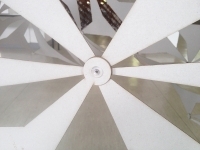 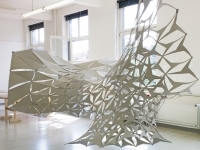 This is resolved by having an effect on the opening and closing of each individual panel.The overall installation was therefore subdivided into 324 individual planar triangular panels, to enable the unrolling of them for the 2D-laser-cutting process. 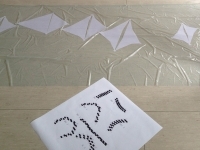 Each of the elements was labeled with a name tag and number, which allowed for a sorting process that was needed for the following assembly line. 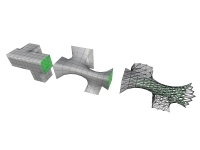 The singular elements were than aligned and connected into planar strips that could be folded up into the shape of circular rings, which in addition articulate the overall shape.